We would like to extend alohas to all surfers, organizers, and guests visiting to watch the WSL contests. We are in a very unique location in that we can offer you the best accommodations within steps from all the action. If you’ve never been, you’re in for a world class treat. The North Shore is home to the ‘seven mile miracle’ of beaches and some of the best waves in the world. In winter we have top athletes compete in our waves for world championships and it’s something you’ll never forget! The famous contests happening on our shores include the Volcom Pipe Pro, Sunset Open & Sunset Junior, The Eddie Big wave Invitational, HIC Pro Sunset Beach & The Vans Triple Crown of Surfing. Encounter the most majestic, ferocious, and awe-inspiring creatures of the ocean on a North Shore Oahu shark diving tour. Enter a shark cage to observe, or be brave and swim in the deep blue yourself. Get to know these elegant creatures as they glide through the water searching for prey—but don’t worry, you’re not on the menu! A professional, expert guide will join you to make sure that this is the safest and most exciting shark encounter possible. Saddle up on an Oahu horseback riding adventure and take off on an equine excursion through some of the North Shore’s most diverse landscapes, beaches and premier private ranches. Great for all experience levels, choose from private or group trail rides, romantic campfire rides, sunset and moonlight rides, beach rides and more. There is nothing like exploring the beauty of Oahu’s North Shore by way of the horse. Happy Trails Hawaii: Ride horseback through Pūpūkea Mountain with sweeping views of Waiamea Valley & Bay at the end of your ride. Jetty Betty Surf lessons: learn to surf in Hawaii! The famous North Shore of Oahu is home to beautiful beaches and excellent surf, making it a great place to get out into the ocean for some fun! Learn to surf, kayak, or stand-up paddle and make use of your lesson immediately on North Shore waves. While conditions in the winter can get rough for beginners, the summer months provide a calmer setting for those that are just starting to learn. Friendly and professional guides will get you out on the water in no time! Get a bird’s eye view of Oahu’s beautiful North Shore! These air tours will have you cruising over the valleys and coastline of the rural northern side of the island. Circle the area in a helicopter, with the option of a doors-off flight for a more exciting tour with better views, or soar over the North Shore in an engine-less glider. For the truly daring, jump out of a plane from 15,000 feet up in a tandem skydiving experience! These tours are the best way to see the North Shore of Oahu. Skydive Hawaii: One of the most beautiful drop zones in all of skydiving. Dole Plantation offers “Hawaii’s complete pineapple experience” with Pineapple Express Train rides, Plantation Garden Tours, and acclaimed 3-acre pineapple-shaped botanical maze—the biggest maze in the world! Visitors can explore the many fun things to do, visit the unique souvenir and gift shop or stop by the Plantation Grille for a refreshing taste of a fresh pineapple or the world-famous soft-serve dessert, Dole Whip! Spend the day exploring the rich heritage of the Pacific Islands. Wander through 42 acres of tropical splendor and enjoy the adventure of traditional hands-on activities. Dine like royalty at an authentic Polynesian luau and top it off with the most spectactular evening show in the islands. All of Polynesia in one exciting place. Sharks Cove, one of the best scuba / snorkel spots on the planet. Explore the underwater world of Oahu’s sea life, swimming past vibrant coral reefs and playful schools of fish. Experienced divers can explore the depths of reefs and sunken ships. Introductory scuba dives are also available, complete with lessons for first-timers. Snuba is just like snorkeling, but attaches you to an air tank floating at the surface, allowing you to swim freely. For those who aren’t strong swimmers, underwater scooter tours are a safe, fun, and easy way to visit the reefs. Strap into a harness, clip yourself to a tether, and float into the air as a speedboat tows your parachute along. Parasailing is a fun, exciting, and safe adventure that anyone can enjoy—no experience needed!—whether flying single or tandem with a friend or loved one. See the coastline of Waikiki or Hawaii Kai from up to 1,000 feet in the air! Expert captains and crews will make sure you’re safe, comfortable, and having fun. Zip through the sky with the beautiful landscape of Oahu surrounding you with panoramic views of lush island vegetation. Zipline tours are the perfect outdoor eco-friendly activity for thrill-seekers, couples, and even families who want a taste of adventure in paradise. These zipline courses are held to the highest safety standards, and trained guides will ensure you’re having fun and being safe. Braking is taken care of for you, which means all you have to do is zip free! 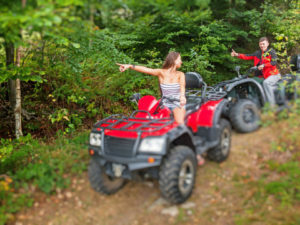 Put the pedal to the metal as you explore the ranches, parks, and unpaved wilderness of Oahu on your own individual or multi-passenger ATV or off-road vehicle! Race across the beautiful and expansive Kualoa Ranch to visit the sites of Hollywood movie shoots, or try your hand at navigating Coral Crater’s technical dirt course. For those who don’t want to drive, you can sit in the passenger seat and be driven by a guide while you take in the rugged, natural beauty of Hawaii. Play, kiss & dance with dolphins! Stand in waist-deep water as the dolphins do tricks and approach to interact with you. Includes admission to Sea Life Park. Our home town here on the North Shore, you'll certainly want to take your time exploring every nook, cranny, shop, and restaurant this gorgeous town has to offer! Historic Hale'iwa Town: Check out local shops, restaurants, and more. Get a ride to beautiful Hanauma Bay! With several round-trip shuttles from Waikiki to choose from, your self-guided snorkeling adventure awaits. 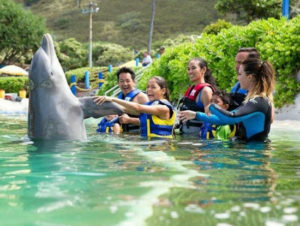 Get ready for a dolphin watching adventure on Oahu’s west side! Expert captains and dolphin lovers guide your search for the numerous Hawaiian spinner dolphin pods who call the area home. Observe as they curiously chase your boat, and learn everything there is to know about these friendly and playful sea mammals. After dolphin watching, further explore the coast by sail boat, catamaran or glass-bottom boat and even visit one of Waianae’s most popular sites for snorkeling. 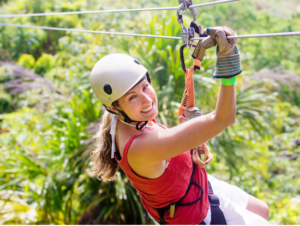 This full-day adventure sightseeing tour lets you explore Dole Plantation, Haleiwa, and Waimea Valley before heading to Coral Crater for some ziplining fun! Enjoy a morning round of golf at North Shore’s Turtle Bay Resort! Choose from, the Arnold Palmer or George Fazio designed courses! With a miles long paved path overgrown with lush tropical plants and running the course of our beachfront, a fun and relaxing activity is to rent a bike and go for a cruise! North Shore Bike Rentals: Perfect for that long and winding path just across the street from us! A convenient way to get along a 4 mile stretch of the North Shore. Oahu State Parks - Pull on your hiking boots and explore Hawaii's natural beauty via our state parks. Oahu Hiking - Love hiking? This site will show you all the best hikes on Oahu. Waiamea Farmer's Market - (Thursdays; 3:00pm-7:00pm) A farmers market of our local homestead families offering fresh produce, flowers, plants and delicious food. Kahuku Farms - Tour a North Shore farm & enjoy farm fresh smoothies! (as well as a beautiful drive down the east side). Kahuku Golf Course - Laid back and situated right on the ocean, this 9 hole golf course is as challenging as it is beautiful due to it's unique location. Kahuku Sugar Mill - Built in 1893 this former sugar mill is now home to a museum and surrounded by famous food trucks. Deep Blue Hawaii - Spearfishing charters for those who love diving and fishing. North Shore Sport Fishing - Fancy staying dry while you wrangle in that Mahi? North Shore Sport Fishing's got you covered. Shaka Kayaks - Explore the cool blue waters of the Pacific in a glass bottom kayak with this eco-friendly company. Queens Open Market - (Sundays; 1:00pm-5:00pm) A local farmers market on the historic Liliuokalani Church grounds. Waialua Sugar Mill - Once a bustling center when the sugar trade was strong on the North Shore, now it houses local shops and world famous surfboard shaper's factories as well as a farmer's market on Saturdays from 8:30am-12:00pm. 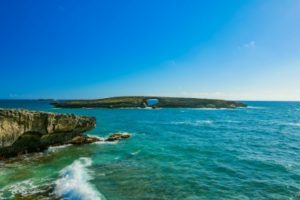 Island Photo Tours - For photography enthusiasts, amateurs to professionals, tour Hawaii's best spots and snap your photos along the way. Mr. Bill's Original Glider Rides - Get a bird's eye view of the beautiful North Shore. North Shore Catamaran - Cruise the glistening Pacific and enjoy all she has to offer - from snorkeling to sunsets, moon cruises to whale watching. 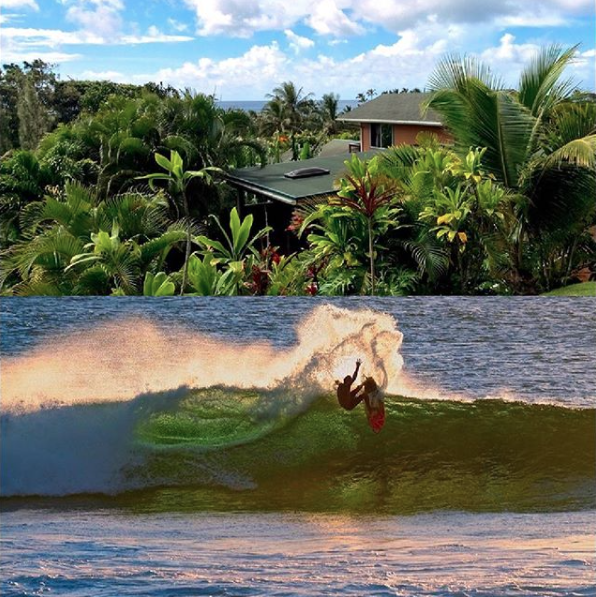 North Shore Surf Bus - See it all and do it all with the North Shore Surf Bus! Sight seeing, snorkeling, bike riding, or hiking, whatever you like, they'll take you there. Van's Triple Crown - Three of the most spectacular professional surf contests, held every year on Oahu's North Shore. Plus many other international surfing competitions throughout the entire winter season. Wanderlust Festival - A yoga celebration including classes by the world's top yoga instructors, musical acts, speakers, chefs, and performers. Hawaii Polo Club - You've never experienced polo quite like this. Tailgate beside the ocean, watch an exciting match, and enjoy live music after. Annual Da Hui Paddle Race - Every 4th of July come watch hundreds of competitors battle it out in the world's largest stand up paddle board (SUP) race! Hale'iwa Arts Festival - An annual arts festival that celebrates our islands most exquisite artists. Hawaii Canoe Racing Championships - An annual regatta of an ancient sport, as Hawaiian as Haupia Pie. North Shore Triathlon Events - Triathlons including rough water swims & cycling. If triathlons are your thing, what better backdrop than beautiful Hawaii? North Shore Lifeguard Training - Witness some of the world's most skilled watermen train to save lives and keep the ocean safe. Annual Hanapa's Fishing Tournament - Get involved or enjoy watching the action at Hale'iwa Harbor.